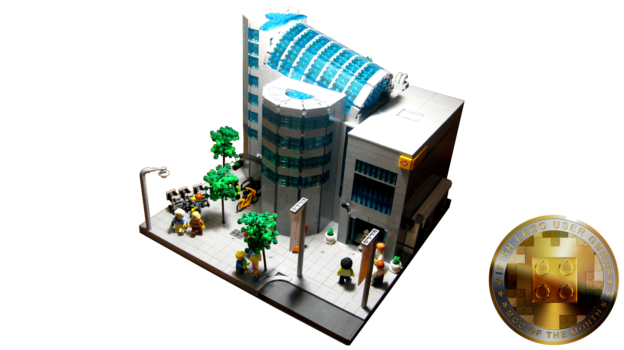 David’s bustling modular Shopping Centre is our judging panel’s choice for the August MOC of the Month. Whether your minifigs have run out of a litre of milk, a pair of trousers or just want to push a trolley they’ll likely find what they’re looking for in this creation. And if you’re into lifts, stairs, underground carparks and trans-light blue glass you might like it too. We always love builds with a local flavour and Jarek’s Limerick hurler Brickheadz build sure fit the bill. 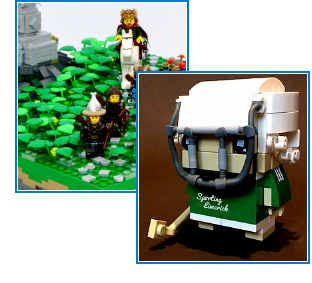 Hard to not love that protective headgear and first time we’ve seen a LEGO hurley. We hope to see a Liam MacCarthy Cup accessory added soon. Tom B’s Return of the king was our other runner-up MOC this month with natural scenery recreated which we think not just geologists will appreciate. This month saw David bag 3 points and Jarek and Tom B, 1 point a piece.